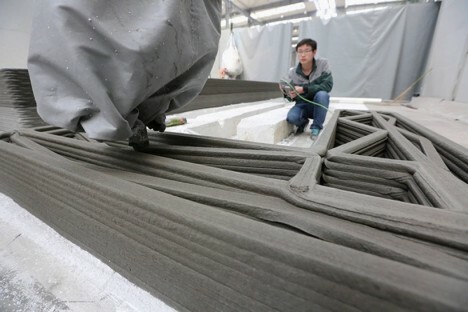 Using recycled construction waste and rapid prototyping processes, a Chinese company is showing off how 3D printing technologies can be applied to building at astonishing new speeds and scales. 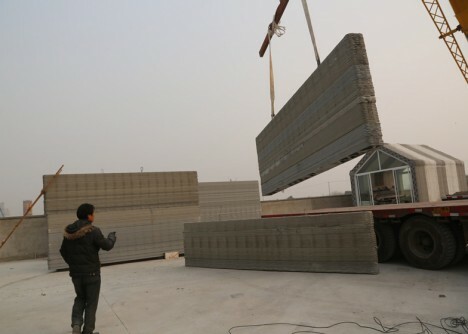 More specifically: Winsun New Materials used a series large 3D printers to frame up 10 houses in 24 hours with a skeleton crew of builders. These scaled-up printers mimic the additive approach their smaller plastic-extruding cousins, but deploy a mixture of glass fiber and scrap concrete instead. 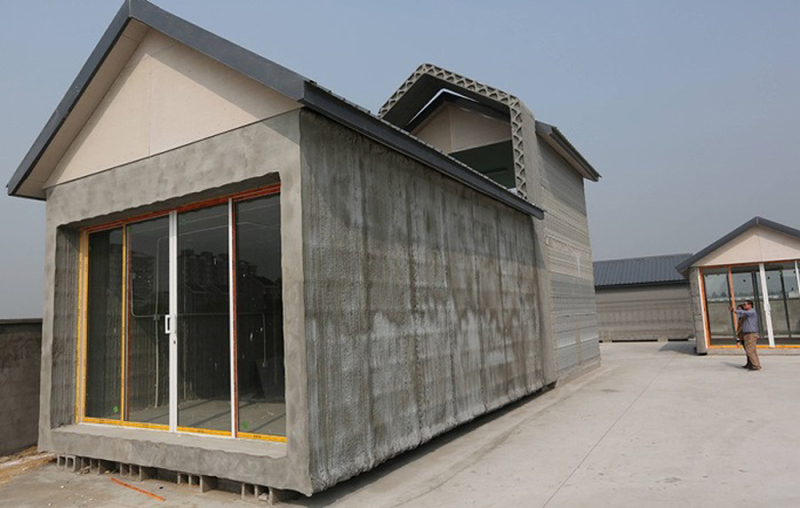 The function-first walls of these homes are designed to provide shelter via robust solid surfaces and structural support, all while minimizing materials. 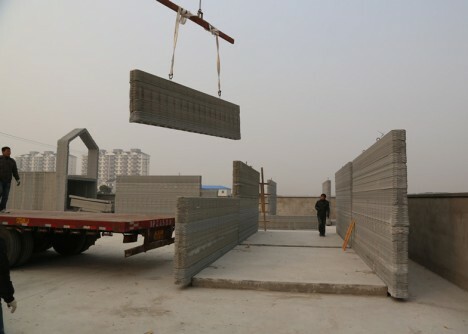 Built-in truss shapes (with spaces in between) are made to leave calculated gaps for the later insertion of plumbing, electrical, passive and active heading and cooling systems. 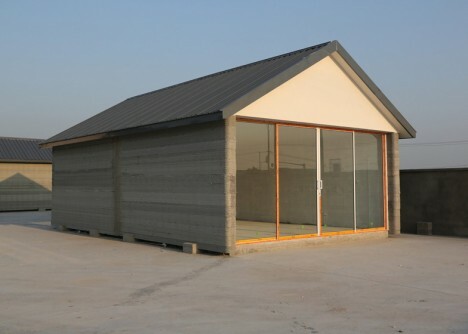 In this initial run, the resulting prefab frameworks for ten residential structures were assembled in less than 24 hours and for just a few thousand dollars a piece. 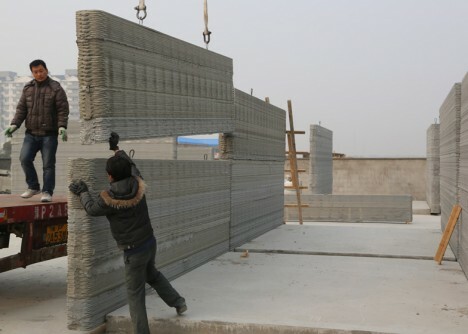 Securely enclosed by a small crew of builders, the weather-proof shells are then ready to be finished by other teams. 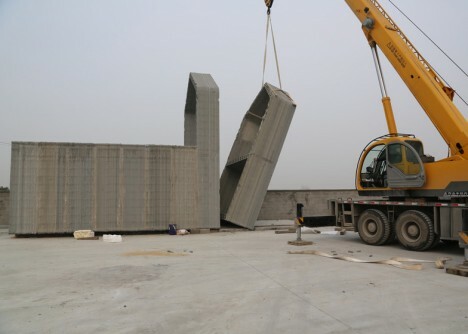 Given the pace of urbanization and construction within the country, it seems apt that innovators from China would be pushing limits like these, hopefully with more (and similarly eco-friendly) innovations yet to come.